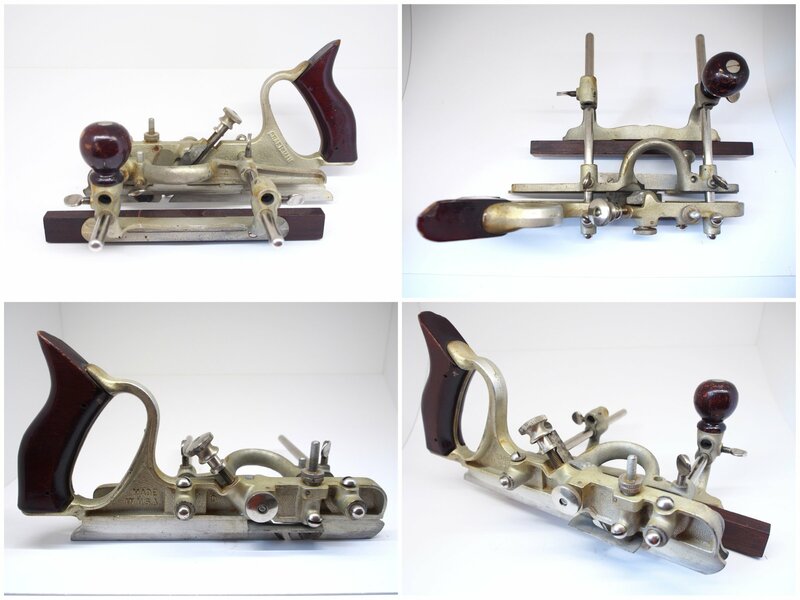 This review is about a combination plane I bought on Etsy – and marked as a Stanley in the ad. A quick comparison of the features in the online pictures made me believe it was more likely a Sargent. The plane is in excellent condition, and likely only used once or twice. Different views of the plane are shown in Fig.1. Cutters: 23 (9 beading, 10 plow/dado, 1 rabbet and filletster, 2 tonguing, and a sash cutter). First look for identifying markers, patent number and dates, etc. These often tell a lot about what time period the tool is from. 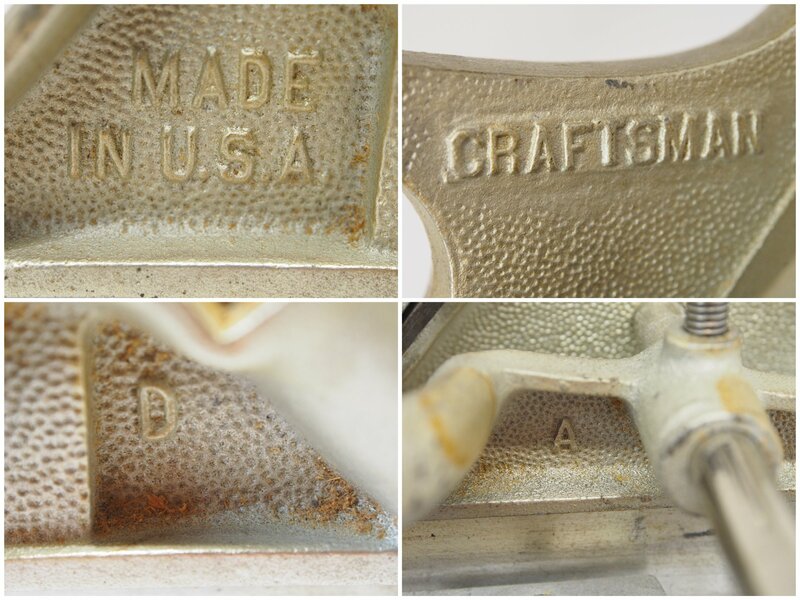 The only markings on the plane were “MADE IN U.S.A.”, the trademark “CRAFTSMAN”, and the labels “A”, “B”, and “D” (on each of the core components). The first step is narrowing the manufacturer down. Many companies such as Sears had planes made by a number of manufacturers, so this can be a challenging step, although cloned tools were often very similar to a companies own branded tools. The easiest way is to compare the physical features of the plane against catalog pictures. 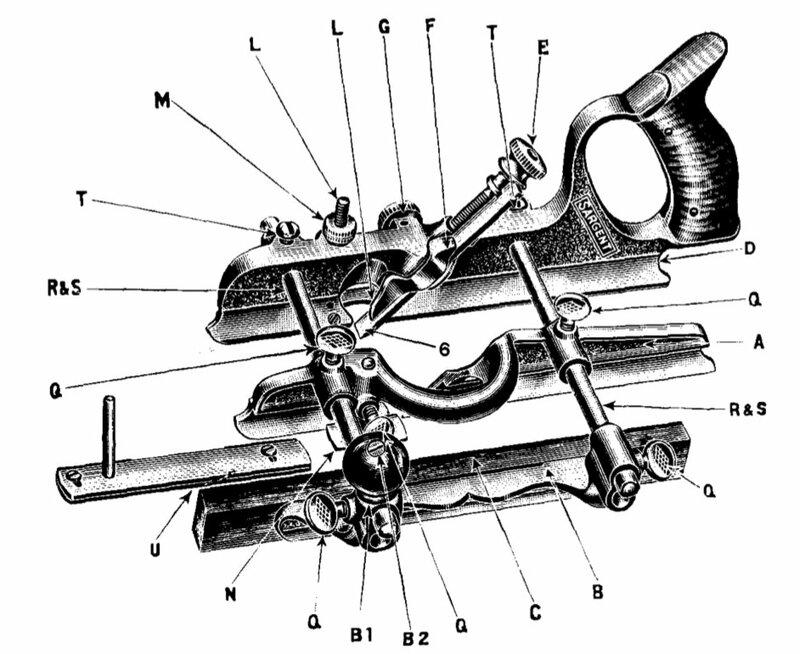 The combination plane in question has two identifying attributes. Firstly, it does not have a cam rest, so that rules it out as being a Stanley (latter models of Sargent combination planes were made by Stanley). 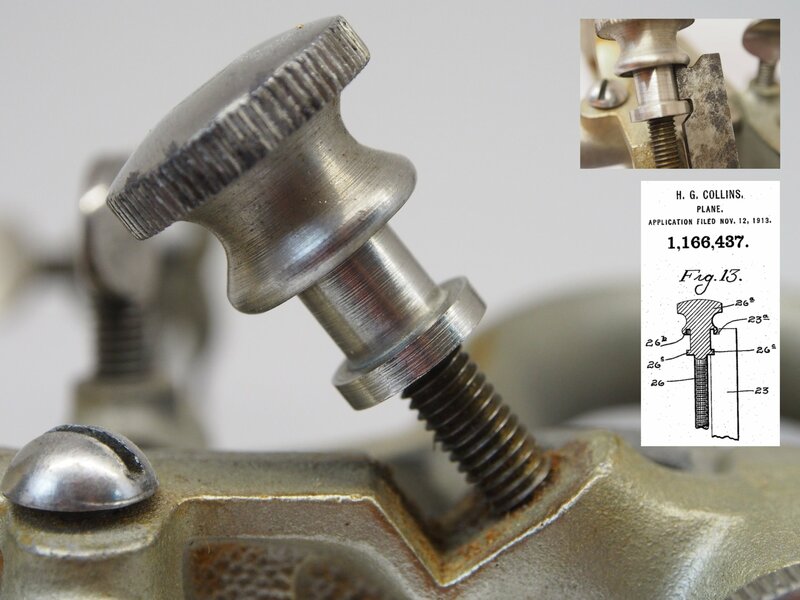 Secondly, although the Sargent 1080 was a cosmetic copy of the Stanley 45, it had a vastly different method of cutter placement in the adjusting wheel (related to Patent# 1166437, Herbert G Collins, 1916) (see Fig.3). The labels “A”, “B”, and “D” correspond to the movable bed, fence and bed of the plane, as outlined in the schematic. The plane is obviously a Sargent model 1080 clone, identified as a Craftsman 3728. This was verified when, just be chance, I removed the wood from the fence. What appeared underneath – “1080” stamped in the bed of the fence. Fig 5: The hidden ID marker! Once the make of the plane is identified, and the model, and appropriate timeframe should be determined. To achieve an accurate date ideally requires access to catalogs from a series of years. An accurate date is not that critical, unless you are interested in the planes value. 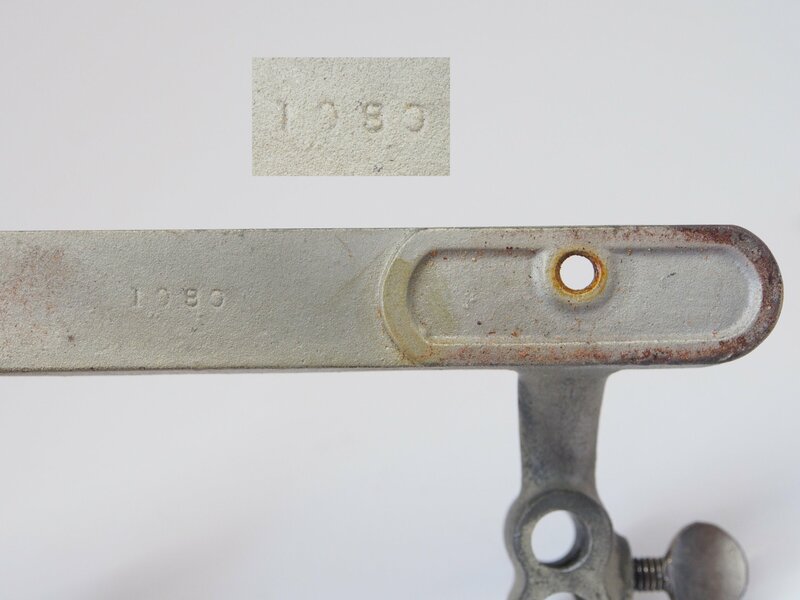 The Craftsman tool line did not appear until 1927, and the plane in question did not appear in the 1960 catalog. Heckel identifies six 1080 models in his identification guide. Three are the PB versions, related to the fact that the plane came in a pasteboard box rather than a wooden box. Considering the nature of the box this came in, it is possible that it is a custom-built box to replace the pasteboard version. With the 1080, a number of markers can help narrow down the date – absence of a knob of the fence and the number of cutters (although this may have been modified for a clone). Early versions of the 1080 (1916-1942) did not have a knob on the fence, so they can be ruled out. This particular clone has 23 cutters, of which 9 are beading cutters. It may not be a war-era plane, some of these were painted silver with black nitrate on the screws, rods and depth stop. Looking at a 1080/1085 instruction guide from 1943, the plane only had 22 cutters. Another guide places the number of cutters at 23, with a 1-to-1 match to the list. So the combination plane is a Sargent, with an indeterminate time-frame, likely post-war. P.S. For a discussion on a Stanley manufactured Craftsman clone, check out this website.